Fasten your seatbelts and prepare for sky-high fun as players embark on fire-and-rescue emergencies with all their favorite characters from the movie! 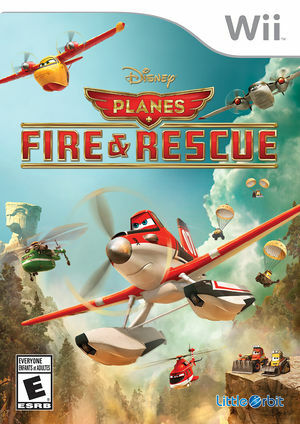 Inspired by Disney’s adventure-comedy adventure film, the Disney Planes: Fire & Rescue continues the storyline as players join the Piston Peak Air Attack team to fight fires and rescue those in need. Kids will embark on an adventure playing as any one of nine playable characters from the big screen including world-famous air racer Dusty and a new crop of characters Blade, Dipper, Dynamite and more! Together, kids will combine heroic action and teamwork as they scoop up water, drop smokejumpers and bulldoze debris in an effort to battle massive wildfires. The graph below charts the compatibility with Disney Planes: Fire & Rescue since Dolphin's 2.0 release, listing revisions only where a compatibility change occurred. This page was last edited on 7 January 2018, at 10:21.